On 4 November 2011, after a bank robbery in Eisenach, Mundlos and Böhnhardt were found shot dead in a mobile home, which was burning. Police said that the two set the vehicle on fire and killed themselves when their vehicle was found. In that caravan, the service pistol (HK P2000) of murdered police woman Michèle Kiesewetter was found. Some hours later on the same day, their flat in Zwickau, where the trio had lived under false identities, also was set on fire, and an explosion occurred. Beate Zschäpe, the alleged third core member of the terrorist group, is suspected of having caused that. She later turned herself in on advice from her lawyer. Police found a CZ 83 silenced weapon, which had been used throughout the NSU's serial murders and a number of other guns in the remains of the house. Further, a DVD was found with images of three of the dead persons that had been taken immediately after the killings. On 13 November 2011, Holger Gerlach [de], a possible fourth member of the NSU, was arrested and brought the following day before a judge at Germany's Federal Court of Justice, who ordered him to be remanded in custody. The German Attorney General's Office wanted Gerlach detained on suspicion of membership in a terrorist group. However the court's investigating judge only authorized Gerlach to be detained on suspicion of supporting a terrorist organization. The Attorney General of Germany also supposed that he had rented a motor caravan for the NSU, which they used for the murder of the policewoman and severe maiming of her colleague, in Heilbronn. On 24 November 2011, agents from the German federal GSG 9 special police arrested André Eminger in Grabow. Eminger is suspected by the Attorney General of Germany to have produced the propaganda movie mocking the victims of the serial murders and claiming responsibility for the previously unknown NSU. The discovery that all these mysterious and unsolved high-profile crimes were committed in cold blood by one obscure, previously unknown "Nationalsozialistischer Untergrund" terror group, that went unnoticed for 13 years, plunged Germany into a state of shock, even though right-wing terrorism has historical roots in Germany. After the underlying ideological pattern of the crimes became known by the public, Chancellor Angela Merkel stated on 14 November 2011 that she wanted to consider a ban of the National Democratic Party of Germany (NPD) to weaken the power of extremist right-wing groups. It became known that an officer of the Hessian State Office for the Protection of the Constitution was inside the Internet café while the Turkish owner was killed by the NSU terrorists in 2006 in Kassel. This security agent (Andreas Temme) openly held right-wing views, and in his home village he was known by the nickname "Little Adolf". He has since been transferred to an administrative post (outside and unrelated to the agency). On 23 February 2012, an official state ceremony in commemoration of the victims was broadcast live from Berlin; a nationwide moment of silence was observed and flags were flown at half-mast. Various German politicians from all parties unanimously urged for a parliamentary enquiry committee, which has been formed and begun its work, to dig deeply into the details of what is widely regarded as growing to one of the biggest scandals concerning domestic security in modern German history. The affair is casting Germany's security apparatus into public disrepute for an obvious, complete failure and is causing sarcastic comments from the press. On 2 July 2012, the President of the Federal Office for the Protection of the Constitution, Heinz Fromm, resigned from his post shortly after it was revealed that on 12 November 2011, employees, most notably Axel Minrath (code name: Lothar Lingen), of his agency had destroyed files connected with the NSU case immediately after their role in the murders became public and the agency itself had received a formal request from the German Federal Criminal Police Office (BKA) to forward all information relevant to these crimes. Two more resignations of the presidents of the State Offices for the Protection of the Constitution in Thuringia and Saxony soon were to follow suit. Beate Zschäpe, charged with nine murders, an attack on police leading to a further murder, arson leading to two attempted murders, as well as membership in a terrorist organization. André Eminger, charged with providing assistance in a nail bomb attack in Cologne, robbery and assistance of a terrorist organization in two cases. Holger Gerlach, charged with providing assistance to NSU members. Carsten Schultze, charged with providing weapons to NSU members. Ralf Wolleben, charged with providing weapons to NSU members. On 14 May, Federal Prosecutor Herbert Diemer read out the indictment against Beate Zschäpe. Diemer accused her of involvement in 10 murders and of being a member of a group whose aim was to "commit murder and criminal acts dangerous to public safety" in order to intimidate the public and "wreak major damage to the state." The only purpose of the National Socialist Underground, said Diemer, "was to kill people." Prosecutors have deliberately and repeatedly stated that the scope of the trial is only to determine to level of complicity that Zschäpe and her fellow defendants had with the crimes the NSU stands accused of. It is the prosecution's opinion that Zschäpe, Mundlos, and Böhnhardt were the only members of the NSU despite strong evidence against the trio thesis. One of the more controversial subjects to come to light during the NSU murder trial is the level of cooperation and support that neo-Nazi informants and organizations receive from the Federal Office for Protection of the Constitution (BfV), Germany's domestic security agency. 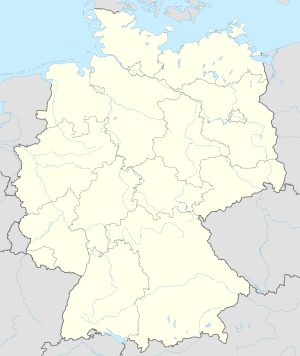 The BfV began cultivating informants from Germany's neo-Nazi groups in the early and mid-1990s to deal with the rise in anti-immigrant crime like the Rostock-Lichtenhagen riots of 1992. During the trial it became clear that BfV informants were aware or potentially aware of the homicides and other crimes attributed to the NSU and that this information was not shared with local police either accidentally or purposefully. All attempts made by the victims' legal team to examine this relationship have been buried by the prosecution team as irrelevant to the scope of the murder trial. Wohlleben: Guilty – Convicted of aiding and abetting nine murders by procuring the pistol used. Sentenced to ten years in prison. Eminger: Guilty – Convicted of aiding a terror organization. Sentenced to two and a half years in prison. Gerlach: Guilty – Also Convicted of aiding a terror organization. Sentenced to three years in prison. Schulze: Guilty – Convicted of aiding and abetting in nine counts of murder. Sentenced to only three years of juvenile detention as he was only 20 years old at the time of the murders. The release of Eminger on the day of the verdict, received applause from the Nazis present in the court. Simultaneously, 10,000 people protested all over Germany against the limited solution of the NSU's crimes and the state's involvement, against the low verdicts for the terrorists and the police's racist investigations against the victims' families. ^ "Döner-Mörder: Waren sie Einzeltäter oder gibt es ein Netzwerk?". Deutsch Türkische Nachrichten (in German). Retrieved 13 November 2011. ^ Von Der Behrens, Antonia (15 January 2018). "Lessons from Germany's NSU case". Race & Class. 59 (4): 84–91. doi:10.1177/0306396817751307. ISSN 0306-3968. ^ Trail of Hate – Activities and crimes of the Zwickau cell graphical timeline by Der Spiegel. Retrieved 15 August 2012. ^ "Haftbefehl gegen Holger G. aus Niedersachen erlassen". Hamburger Abendblatt (in German). 14 November 2011. Retrieved 14 November 2011. ^ How could German neo-Nazi killers have evaded police for 13 years? The Guardian. Retrieved 8 August 2012. ^ Range, Harald (13 November 2011). "Haftbefehl gegen die Brandstifterin von Zwickau wegen mutmaßlicher Mitgliedschaft in der terroristischen Vereinigung "Nationalsozialistischer Untergrund (NSU)"". Attorney General of Germany (in German). Retrieved 15 November 2011. ^ a b "Dokumentierten rechtsextreme Täter ihre Hinrichtungen?". Hamburger Abendblatt (in German). 12 November 2011. Retrieved 14 November 2011. ^ Lindner, Jan-Eric (12 November 2011). "Die mörderische Spur durch ganz Deutschland". Hamburger Abendblatt (in German). Retrieved 14 November 2011. ^ German Prosecutors to Broaden Charges Against Neo-Nazi Beate Zschäpe Der Spiegel. Retrieved 20 August 2012. ^ Diehl, Jörg (15 November 2011). "Fourth Suspected Terror-Cell Member Detained". Der Spiegel. Retrieved 15 November 2011. ^ "Der Generalbundesanwalt beim Bundesgerichtshof". Generalbundesanwalt. 13 November 2011. Retrieved 11 September 2012. ^ Neo-Nazis' Bizarre Video Manifesto Photo Gallery Der Spiegel. Retrieved 29 August 2012. ^ Basic Law for the Federal Republic of Germany, Article 21 (english translation). Retrieved 21 August 2012. ^ Hawley, Charles (15 November 2011). "The World from Berlin: 'The Neo-Nazi Killers Were Among Us'". Der Spiegel. Retrieved 15 November 2011. ^ ""Nationalsozialistischer Untergrund": Verfassungsschützer womöglich in "Döner-Mord" involviert – Politik". Frankfurter Allgemeine Zeitung. 14 November 2011. Retrieved 11 September 2012. ^ "Dönermorde und Nazi-Mordserie: Verfassungsschützer war regelmäßig in Kasseler Internetcafé – Kassel – Lokales – HNA Online" (in German). Hna.de. Retrieved 11 September 2012. ^ "Döner-Morde: Sie nannten ihn den "kleinen Adolf" – SPIEGEL ONLINE". Der Spiegel. Retrieved 11 September 2012. ^ "Killer-Nazis erschüttern Deutschland: War ein Verfassungsschützer bei sechs Morden ganz in der Nähe? – News Inland" (in German). Bild.de. 15 November 2011. Retrieved 11 September 2012. ^ hr-online.de. ""Döner-Morde": Verfassungsschutz in der Kritik | hr1". hr-online.de. Retrieved 11 September 2012. ^ Neo-Nazi terror scandal grows in Germany The Guardian. Retrieved 6 August 2012. ^ Speech by Federal Chancellor Merkel at the Central memorial ceremony to commemorate the victims of extreme right-wing violence. Retrieved 15 August 2012. ^ Merkel Asks Victims' Relatives for Forgiveness Der Spiegel. Retrieved 15 August 2012. ^ A Daughter Pays Tribute to Her Murdered Father Der Spiegel. Retrieved 15 August 2012. ^ "Andre E.: Mutmaßlicher Unterstützer der Terrorgruppe NSU in Untersuchungshaft". Focus. Retrieved 11 September 2012. ^ Debate over future of German security agency Deutsche Welle. Retrieved 8 August 2012. ^ "Fromm quits. Next, please!" (Comment editorial) Berliner Zeitung (German). Retrieved 8 August 2012. ^ German Spy Chief Quits over Botched Terror Probe Der Spiegel. Retrieved 2 July 2012. ^ "Gestern "NSU" - heute "Amri"?". Telepolis (German). Retrieved 15 July 2017. ^ Intelligence Agency under Fire for Shredding Files Der Spiegel. Retrieved 5 August 2012. ^ Third Spy Chief Quits as New Errors Emerge Der Spiegel. Retrieved 5 August 2012. ^ von der Behrens, Antonia (2017). "Kontrolle als Gestaltung. Der Verfassungsschutz und der NSU-Komplex". Kritische Justiz. 50 (1): 38–50. doi:10.5771/0023-4834-2017-1-38. ISSN 0023-4834. ^ von der Behrens, Antonia (2 August 2017). "These vom abgeschotteten Trio widerlegt". Frankfurter Rundschau. ^ Kushner, Jacob. "10 Murders, 3 Nazis, and Germany's Moment of Reckoning". Foreign Policy. ^ von der Behrens, Antonia (8 March 2017). "The NSU-Case in Germany". NSU Watch. ^ Ramm, M. Anetzberger, X. Bitz, O. Das Gupta, B. Peters, A. Ramelsberger, W. (11 July 2018). "Lebenslange Haft für Zschäpe im NSU-Prozess". sueddeutsche.de (in German). ISSN 0174-4917. Retrieved 11 July 2018. ^ Sundermann, Tom (11 July 2018). "Was ist das für ein Urteil?". Zeit Online. Retrieved 30 August 2018. ^ Watzke, Michael (11 July 2018). "Opfer-Angehörige wollen weitere Aufarbeitung". Deutschlandfunk. Retrieved 30 August 2018. Bold indicates incidents resulting in more than 10 deaths. This page was last edited on 16 March 2019, at 14:00 (UTC).